phatwilson | A novel about the greatest defenceman never to play in the NHL. A novel about the greatest defenceman never to play in the NHL. Phat Wilson, one of the greatest defencemen never to play in the NHL, has died. It is July 1970, the start of a new decade of hope after the headiness of the '60s. Wayne Conrad, 18, is hitchhiking to Port Arthur from Oshawa for the funeral. Phat Wilson was his grandmother's brother and he is going to the funeral to represent his family. Gordonalan, 22, is accompanying him. He's got his own reasons for going. They stop for the night at the Orphan Lake Trail overlooking Lake Superior. That's where they meet Trudy. Phatwilson will be available from goodegg ebooks in both paperback and ebook versions shortly. Watch this website for more information. Maybe everything has already happened, but only some of us can remember the future as well as the past. Maybe if we die in a horrible car crash, we simply slide into another universe where the accident didn't happen. Maybe if we imagine horrible things happening vividly enough, they won't come true, because they already have, in a way. 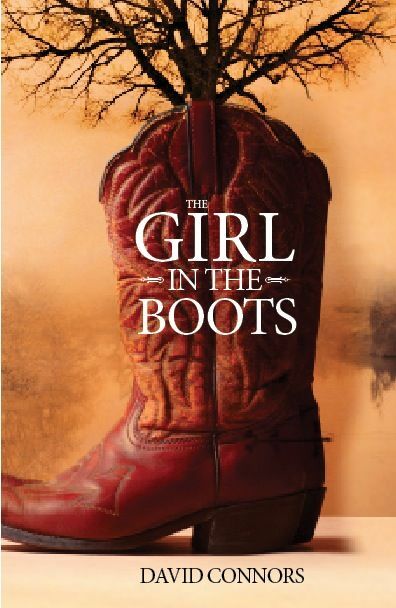 The Girl in the Boots is available in ebook form. Click the cover to go to the Amazon page. the evolution of my life. written and photographed by brandi parnell. This is when the Bruins’ Bobby Orr learned to fly. Everyone knew he could fly down the ice. But on May 10, 1970, he defied gravity, too. Gordon Allan Wilson, better known as Phat Wilson, was perhaps the original offensive defenceman. He led the Port Arthur Bearcats to three Allan Cup championships, beating elite teams from Toronto and Montreal in the process. It wasn’t long before the NHL took notice. Several Bearcat players were courted by NHL teams. At least one took the bait — Bobby Connors, the Bearcat Phat clicked so well with. There are few men who have done more for hockey in their native communities than has Gordon Allan “Phat” Wilson. A product of the Lakehead, Wilson joined the local church league hockey team at St. Andrew’s in 1914 before he learned to skate. He spent his first year as a sub but came back the next year with much improved skating abilities and took his position on defence. Wilson spent the following two seasons playing in the local junior hockey circuit before joining the War Veterans Senior Hockey Club in 1918. 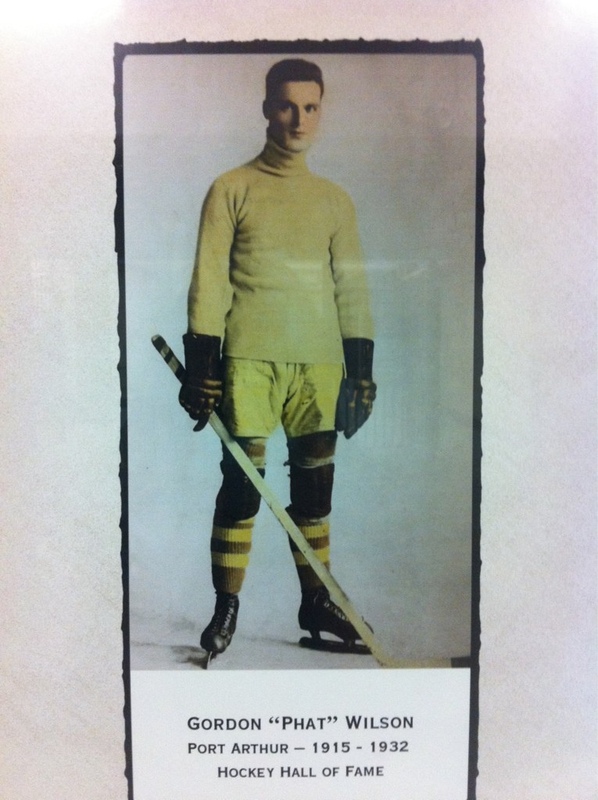 With two seasons of senior hockey under his belt, he tried his luck in the NOHA with Iroquois Falls in 1921-22. The team made it to the Allan Cup playdowns, eventually losing to the Toronto Granites. 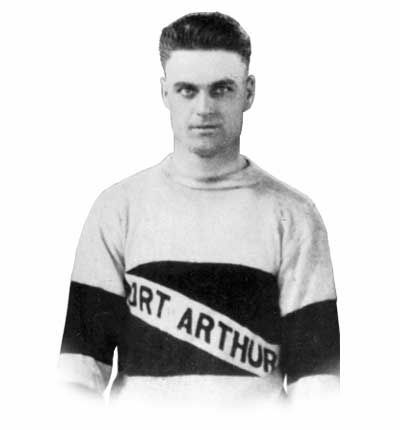 Wilson returned home and stayed with amateur hockey, eventually guiding Port Arthur to the Allan Cup in 1925, 1926, and 1929. His play did not go unnoticed by the pros and he was offered contracts with Edmonton, Calgary, and Toronto but turned them all down.He was noted as an all-time great amateur player whose long rushes down ice contributed to his winning the senior scoring title as a defenceman. Although he retired from active play in 1933 at the age of 37, he stayed very active in the hockey and sports scene in Port Arthur. He died July 26, 1970, at age 75, and is buried in the Riverview Cemetery in Thunder Bay. While Phat had an admired hockey career and a long, productive life after hockey, the same cannot be said for his friend, Bobby Connors. He bounced around the NHL for several seasons, playing for the New York Americans and the Detroit Cougars of the NHL, but never burning up the league. During a visit home in the offseason, he drowned at age 26 near Port Arthur on July 27, 1931 — 39 years less a day before the man with whom he made so much magic on the ice. I don’t know why hockey is so important to me. But I know what hockey is. It is the white boards bruised and lacerated where a shot missed the net, where a clearing pass ricocheted, where a player slid into the boards skates first. It is the way the white boards curve into the corners and whip you around behind the net. It is the white ice scarred by a hard deke, a sudden acceleration, a curving glide. It is little drifts of snow in the crease scraped up by jittery skates. It is sounds. Skate blades making the zing of swords being removed from their sheaths. Sticks colliding, sticks tapping for a pass, sticks unleashing a vicious shot. Gunfire, distant and close as pucks and bodies hit the boards. It’s waves breaking on the shore, interspersed with shouts from leatherlungs in the crowd who know better than the coach and all the players combined. It’s teams working together and it’s individual players seizing the day. It’s late night camaraderie and it’s early morning hangover cure. It’s calculated violence and chivalry. Sacrifice and egotism. Good guys and bad guys and goons. It’s shaking the hand of the man you just flattened to the ice. It’s an alignment of the stars as the puck goes tic tac toe into the net in a play so elegant, it can’t be thought of. It can only be done. Hockey’s outcome can be decided by just one act. Just one hero. Other sports are games. Good games. Worthy games. i am on a journey filled with love, laughter and self discovery.